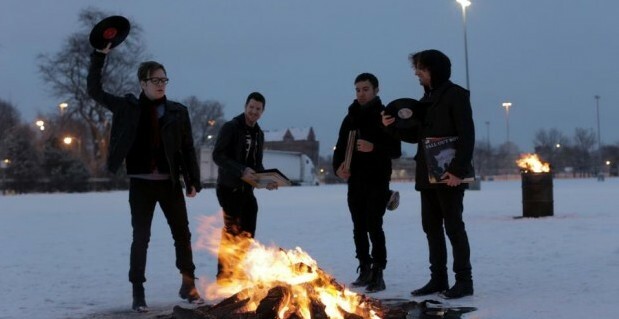 Fall Out Boy just announced that they are pushing up the release date of their new album Save Rock and Roll to April 15. Originally slated for May 6, the band decided that they had no reason to hold onto the record until May, and that the great reaction to their return just made them want to release the record sooner. You can pre-order the record here, and you can bet this is one of the most anticipated releases of the year. Read the band’s official statement after the break. Are you excited for the new record? Let UTG know in the comments. So when we got this all rolling we didn’t expect it to be so crazy. But we weren’t kidding when we said we had the album done- so why wait? It means the world to us the way you have welcomed us back. “Save Rock and Roll” now out early, April 15/16 worldwide.